This kind of worm shaped tunnel combines two different shapes together, one is the worm shape to draw children’s attraction; the other is the tunnel to ensure its playability. Moreover,these foam stuffs are not only soft touching but also very durable. It can be incorporated into FEC to creat more fun elements. 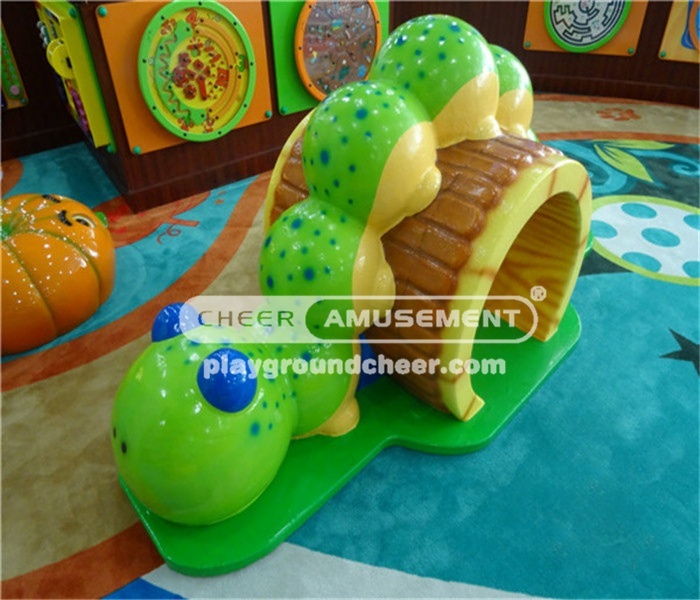 and using of the product, and this is decided by yourself; Our company products provide 1 year limited warranty and after-sales service; Please remark: playground equipment need to protect from fire and cutting, as far as possible avoid touching flammable or sharp objects!